« Heckert the Front Runner to Be the New Browns GM? 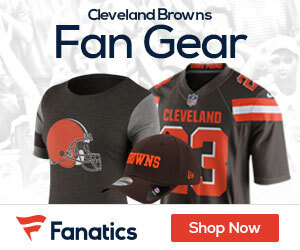 Could Cribbs Be Moved to San Fran? MM: There were rumors around the trade deadline of the 49ers and Browns engaging in trade talks concerning Josh Cribbs. Those rumors were true. Some believe it might have taken a second-round pick. The Browns and 49ers could not agree on a deal. Would the 49ers be interested if Cribbs hit the trade market? I’m sure they would. But at what price, I do not know. But let’s not get too carried away with disgruntled Cribbs’ trade demands. Heck, the trade period does not open until March. And, perhaps, new head honcho Mike Holmgren has some other more-urgent areas to address before he sits down to hammer out an extension for a player who has three years remaining on his contract. My money says that Josh Cribbs will be a Cleveland Brown for years to come. Unless I start hearing things like “first round” for him, then I don’t see the man even having a chance of moving anywhere. Even then, he typifies the type and caliber of player you need on the field and in the locker room — and he spoke on behalf of a seemingly embattled coach, who was retained by a new President who was “impressed.” I just don’t see this guy being traded. They are only $1.1M or so apart, so the incremental cost of reworking the remainder of his contract is not a deal breaker, I should think. I hope you’re right, Deno. But if somehow God forbid you’re wrong, then I hope it is a move like this that Cribbs ends up making. If he can’t say with us, let him go to the other conference where he’s less likely to hurt us down the road. We’ve had the other departure scenario far too often.